This is one of our favourite walks in the area! The Fyrish monument can be seen clearly from miles around. 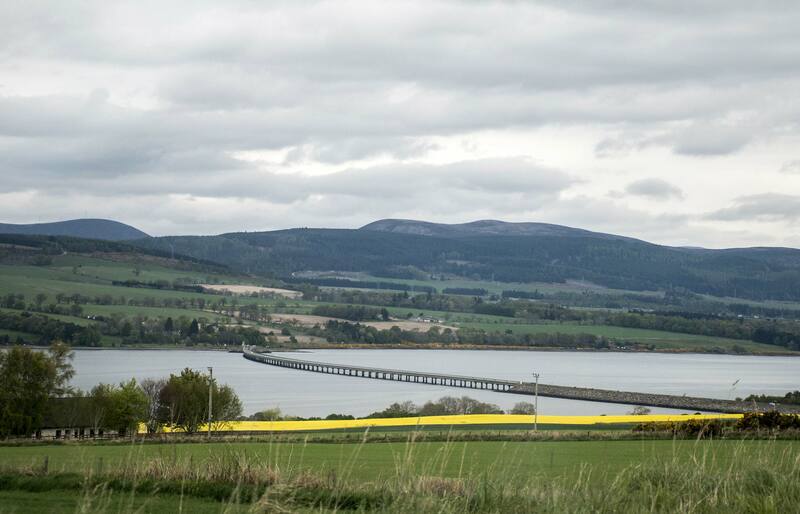 You’ll be rewarded with stunning views of the Black Isle, Ben Wyvis and the Cromarty Firth. This is a wonderful opportunity to see what the locals of Evanton – circa 1782 – built! Sir Hector Munro, 8th [8th what?} of Novar, had served in India as a general. He returned from India to find local residents being cleared off the land as survival was becoming a real problem. It is said he paid them 1 penny per stone taken to the top of this hill. It is also said that Sir Hector rolled stones from the top to the bottom, thereby extending the amount of time worked by the locals so he could pay them for extra hours! The walk starts at the car park northeast of the hill at OS grid NH627715. The monument represents the Gate of Negapatam, a pot in Madras, India which General Munro took for the British in 1781. The monument is visible from nearly anywhere in the parishes of Kiltearn and Alness. This is a day trip and I think we should have a map on the site of where the car park is at Garve and the route up to the trig point. The iconic Ben Wyvis is just shy of 3500 feet AMSL, so it’s a good walk. Our guests should be sure to wear suitable footwear and clothing for the weather conditions. 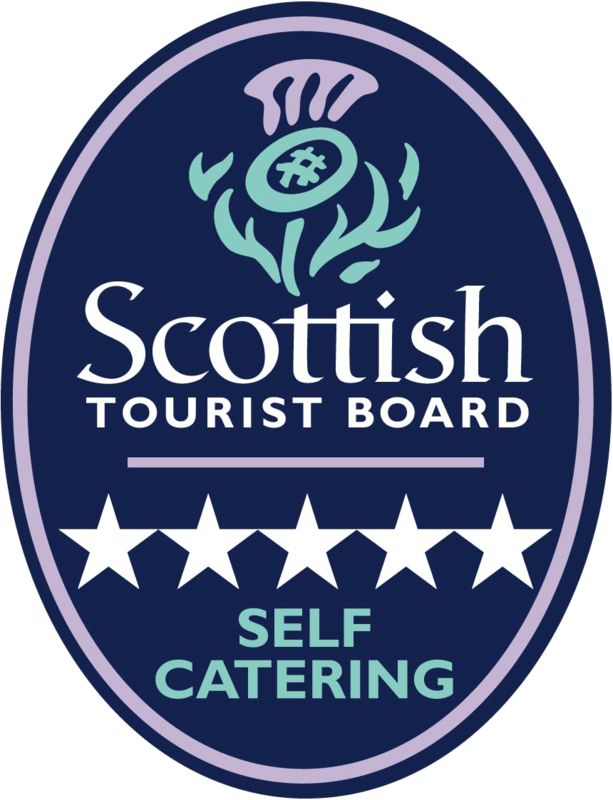 The car park and starting point is in Garve, 20 minutes from Highland Farm Cottages. Spot jumping salmon as they make their way upstream to spawn! Kids love this relatively short walk and ours like to build in a visit to the ice cream shop in Strathpeffer on the way back to Highland Farm Cottages. Unusual and hard-to-find iconic “Irn-Bru”-flavoured ice cream is available here. Disgusting – but don’t take my word for it! From April to October you’ll find many locals and tourists take advantage of the calm waters of Loch Achilty. There is a beautiful picnic area here – great for the family, and plenty of places to BBQ, too. Dolphin watching at Chanonry Point. Entirely free-of-charge and if you time it well (high or rising tide) you’ll often see one of Europe’s biggest pods of bottle-nosed dolphins. Whilst you’re there. . . Chanonry Point is where The Brahan Seer – known in his native Scottish Gaelic as Coinneach Odhar, a.k.a. Kenneth Mackenzie – was allegedly burnt in a spiked tar barrel, on the command of the Earl’s wife, Lady Seaforth. He lived in the 17th century. According to legend, he could predict the future. He met an untimely death after reporting to Lady Seaforth that her husband, the absent Earl of Seaforth, was having sexual adventures with one or more women in Paris. This outraged Lady Seaforth: it cast her husband in a scandalous light, and heaped embarrassment on her. However, it was ultimately much worse for poor Kenneth Mackenzie! Close to Chanonry Point and its pod of dolphins, this sandy beach allows good swimming in the summer months with clear, clean shallow waters extending quite some way out. Great rock pools to explore/jump in from. When it all gets too much, there’s a nice wee café on the beachfront that serves soup, sandwiches, teas and coffees. There is also a supply of children’s fishing nets, buckets and spades to help build the ultimate sandcastle. The Fairy Glen was once known for ‘well-dressing’ ceremonies, whereby local children would decorate springs with flowers in the hope that the fairies would keep the water clean. Take a walk along its beautiful woodland paths, and look out for waterfalls and the ‘Money Tree’. It features hundreds of old coins hammered into its bark as offerings to the fairies. 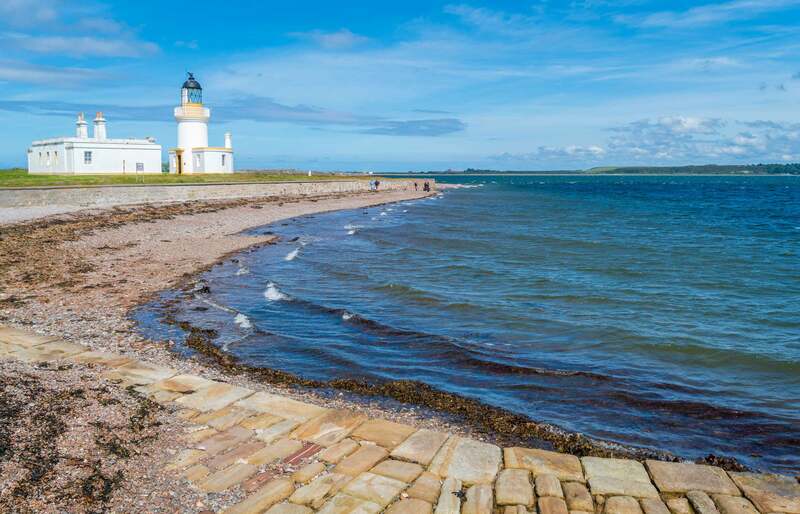 When you’re finished at Rosemarkie you can either grab excellent fish and chips from Fortrose, visit the Fortrose Café which is receiving great reviews right now or if you feel like pizza, try Suttor’s Creek in Cromarty. We also like The Cromarty Hotel or the Allangrange for dinner. All have great reports – we’d welcome your take on them. Not just for skiing! There is a year-round funicular railway, with stunning views for up to 100 miles on a clear day! An hour south of Highland Farm Cottages, near Aviemore just off the A9.